Here at Stereo and Video Center we carry what we consider to be the top 3 TV brands on the market; Sony, Samsung, and LG. Not only do they incorporate ahead of the curve technology we also consider them to be the longest lasting and reliable. The two types of TVs at the forefront of this technology are Sony and LG's OLED and Samsung QLED. Note: We find it easier when reading about or discussing these TVs to refer to them as “Oh - Led” (OLED) or “Que - Led” (QLED). Both Sony and LG make televisions with OLED technology while Samsung has decided to stand alone with their line of QLED options. As we can probably guess, the biggest difference between the two types is the panels creating the picture we’re watching. Not just the Q and O. Normal LED/LCD televisions use backlight passed through the liquid crystal and color filter to produce a picture. But you might only have one row of LEDs along the top of the TV or a row on each side. Both the QLED and OLED have a different solution. Without getting incredibly technical, let’s put on the gloves and start round one. QLED panels incorporate what is called “quantum dot” technology (hence the Q). A quantum dot is an incredibly small molecule that glows when supplied with energy and the size of the dot determines what color. For instance a smaller dot might glow blue, where a slightly larger dot might glow red or green (and different shades thereof). The importance of this is the fact that the only colors we need to create a picture are those three (red, green, and blue). Also keep in mind that QLED televisions are still in fact LCD/LED (liquid crystal display/light emitting diode) just on a different level. OLED televisions are not LCD and in a category of their own. 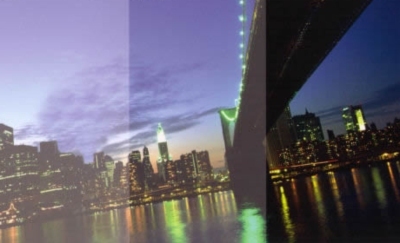 Because QLEDs are still LCD panels using newer tech, start thinking in layers. The panel is made up of multiple layers stacked on top of eachother with the liquid crystal near the top (this is also why QLEDs are thicker than an OLED), but the two most important layers of the QLED panel consist of the backlighting. One layer is the quantum dots themselves, the other is a panel of blue LEDs behind the dots. The blue LEDs behind the QDs provide not only all of the blues you’d see on the screen but also the energy needed for the quantum dots to turn their respective shades of red/green giving us the three colors we need for a picture. This also makes the QLED panel incredibly efficient. All you’re doing is sending power to a layer of blue LEDs who in turn power the quantum dots creating a much richer picture with deeper, truer colors than normal LED backlit televisions. However, this setup is also fundamentally inefficient as well. The layers of blue LEDs and quantum dots work together to create “white” light which is then sent through a polarized layer, the liquid crystal, then a color filter. The color filter is what creates the picture you see, but it does so by BLOCKING light to let a specific color through. So there’s a lot of wasted energy since roughly 66% of the light is blocked to let in a blue (instead of red or green) for example. Figuring out a way around this color filter will be the next step for QLEDs. This would double the efficiency. They aren’t quite there yet, but projects are in the works to replace the color filter with the layer of quantum dots. We’d expect this will be several (if not more) years away from being perfected for commercial distribution though. As you can probably tell from the picture an OLED panel is substantially different than a QLED panel. OLED stands for “organic light-emitting diode”. To fully understand the difference between this and a normal LED (light-emitting diode) we have to know how each one works. The LEDs that we’re all familiar with, simply put, use semiconductors to pass electrons through a junction. Each time an electron passes through the junction it releases surplus energy, resulting in a flash of light. Those flashes of light are what we see as an LED glowing. An easy way to think about how these layers work is by attaching a positive wire to the anode, a negative wire to the cathode, and running a current through it. This makes the emissive (organic) layers negatively charged and the conductive layer positively charged. The reaction between the two creates brief bursts of energy in the form of a light particle, or photon, which produces a continuous light. Add a color filter to the layers and presto; continuous light into colored light. Because this process occurs so efficiently on a molecular level using the organic material layers, we basically get an individual LED for every pixel on the panel. Overall, the OLED wins over the QLED in the panel round. While the QLED incorporates newer, ahead of the curve technology with quantum dots it’s still not as efficient as the OLED panel. The OLED is also thinner, even to the point of flexibility, and offers multiple applications for use in other industries. While Samsung has definitely taken LED/LCD panels to another level the OLED, as stated before, is in a category of its own. There’s no question that even though the OLED beats out the QLED as far as panel technology and efficiency, they both have an overwhelming edge on picture quality against normal LED/LCD TVs. But which one is better, and why? Thankfully this is an easier explanation than the technology round. As discussed in round one, the panel on Samsung’s QLED line of TVs uses quantum dot technology instead of normal LED backlighting. And there’s definitely a difference. Picture quality essentially boils down to a couple of elements. Take the QLED line as an example. Samsung has the Q6FN, Q7FN, Q8FN, and the Q9FN. All of which will have an exceptionally better picture than the Samsung 8000 series (the series right below the Q’s). The difference in picture quality, and of course price, comes down to the processing power in each Q model coupled with the quantum dots. The best way to explain this, using football as an example, is the more money you spend the more laces you’ll see on the football as it’s spinning through the air. The faster the TV can process the incoming video data the smoother the motion flow. But even if we look at the entry Q model, the Q6FN, the processing is far from disappointing. Colors are rich and incredibly accurate on a QLED. What makes the biggest difference though is your dark, near black colors with no bleed from normal LED backlighting. It is impossible to get a true black in a normal LED/LCD TV because it’s backlit. This is why plasma TVs were so popular for having the best picture (and for helping save money on your heating bill). Plasmas were able to get a true black without sacrificing much picture quality. From left to right you can see how the picture gets “truer” to what was recorded. Ever been watching a dark scene of a show or movie and it’s either TOO dark to see anything or the scene ends up looking like the slice on the far left of the picture above? A black scene ends up being a really dark gray because the TV has to have a balance of dimming and brightening the LEDs. If it tried to turn off the LEDs completely to produce a real black you wouldn’t be able to make out details (technical term is Black Rush). That doesn’t happen with a QLED. It delivers great dark scenes with exceptional quality and detail. Movement is smooth and 4K movies or content look fantastic even on a Q6FN. Skin tones are accurate, and there’s very little (if any) jitter. Samsung’s quantum dots have definitely raised the bar for picture quality on LED/LCD televisions. Notice when describing the QLED we used the words “near black” colors in dark scenes and content. You won’t read the word “near” when describing the OLED picture. It turns off the pixel entirely. I have my own personal test for TVs to determine quality reproduction of colors and dark scenes. Find any movie or show in 4k quality that’s shot in an era without electricity. What are they going to use for light at night or in the dark? If you want to see something impressive watch this type of content in 4k on either a Sony or LG OLED television. Not only the level of detail but the smoothness of the fire flickering over surfaces. The reflection, refraction, and the obvious hard line between light and dark makes scenes amazingly lifelike. All because of the panel’s ability to completely turn off the pixels to create a 100% black. Accurate reproduction of skin tones and other aspects is perfect. Colors besides black are deep, rich, and best of all, bright. There are some that say an OLED isn’t suited for a room with a large amount of natural or artificial light. We have yet to see any problems regarding this issue. The panel has plenty of settings to choose from and handles well lit rooms like a champ. We have also yet to experience any type of jitter on an OLED unless a wireless stream starts lagging or buffering. Motion flow is seamless. There’s much to be said for the upscaling ability as well. While Samsung’s QLED series of TVs are ahead of the curve, Sony and LG’s OLED televisions laid the pavement and painted the lines. There’s a passing lane, but the QLED just isn’t ready to overtake it’s big brothers yet. The OLED televisions are going to deliver the best picture money can buy. There are things that Samsung is experimenting with regarding quantum dots that could help them attain the same level of picture quality but it’s probably a few years away from hitting the shelves for consumers. The OLED is hands down the winner. It’s one thing to develop to best TV money can buy, but if no one can afford it..
Thankfully the prices on both are in the range relative to what we’ve always expected high end TVs to be. But along with price, we have to look at consumer friendliness based on diversity and application. Remember: The more money, the more laces. LG has several models of OLED, but only two of them are really the mainstream models everyone has on display or that customers purchase. Sony does the same with only two models. It needs to be said that in 2017 Sony did have a 77” model available in what was the A1E series and it retailed for $7999.99. They removed it from the lineup in 2018. LG did not remove theirs. However, Sony has recently updated their website with the A8/A9G model numbers. Under the A9G they have a 77” listed. So they are more than likely bringing the size back for 2019. No prices released at time of writing. 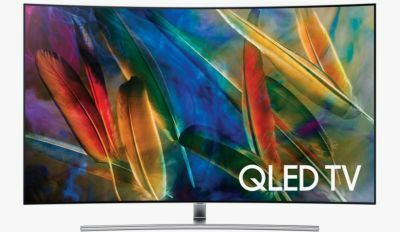 As much as we here at Stereo and Video Center love the OLED and believe it’s currently (and will be for years) the most advanced and best TV money can buy, Samsung’s Q Series pulls ahead for us in this round. The problem is a combination of cost and variety. The OLEDs are a little more expensive and for the price it’s worth it against a comparable Q series. However, for people who need bigger than a 65” the gap widens substantially between the two. There is only a 77" OLED offered by either Sony or LG. A 75” Samsung Q8FN will run you $3499.99. A 77” LG C8PUA will run you $6999.99. Samsung even offers an 82” in both the Q6FN and Q8FN models that cost anywhere from $3300 to $5000. So for people who need something bigger than a 65” TV for a large room or theater/mancave setup the Q-Series is going to be the better bang for the buck. Unless of course you just have to have an OLED. We’re not going to tell you no. Even though Samsung’s Q Series pulled through the last round the OLED from Sony and LG comes out the champion. The question posed by our customers as stated in the beginning of this article was “Who makes the best TV?”. We have researched and came a long way for the answer to that question. There are also a few other factors which we like to take into consideration for our customers when we make these suggestions. One of which is, what else is coming? Every year in early January the Consumer Electronics Show (CES) is held in Las Vegas to debut all kinds of new consumer technology. This of course includes televisions. 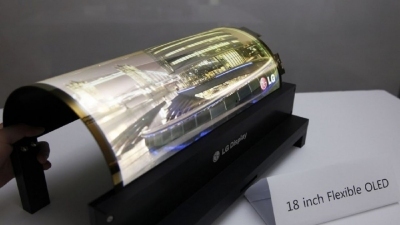 We have not heard of or seen anything that can compete with an OLED panel. Samsung debuted their “Micro LED” panels. Which as far as flexibility and a variety of applications is an amazing piece of technology. But it’s not a TV or even seems to be marketed as such. The tech seems to lean more towards a customizable commercial or residential ambience display. We believe that the OLED is going to be the best for at least a few more years to come or longer. They are too far ahead of the curve and the panels offer a massive amount of different applications in multiple industries outside of televisions. If you made it all the way through this we applaud you. This article took a few weeks wrap up in a way we felt communicated the differences between technologies without being incredibly technical or overwhelming for our readers. Our goal here at Stereo and Video Center is to help our customers make an educated decision on their purchases regarding home theater, automation and entertainment technology. The industry moves quickly and we have to keep pace in order to insure our service stays the best in East Texas. As always, feel free to give us a call or send an email with any questions! We offer free at home consultations within Tyler and nearby towns. Or swing in for an in store consultation.